/ Simon Collins: Sound Of Contact World Tour 2013! Simon Collins: Sound Of Contact World Tour 2013! Dave Kerzner and Simon Collins have known each other for quite a while, Genesis fans may remember they produced and released a Genesis-cover - Keep It Dark - as a single. Kerzner also worked with Simon on his last solo-album U Catastrophe. Last year, both Simon and Dave also appeared on Steve Hackett's Genesis Revisited II-album. Simon's vocals can be heared on Supper's Ready. Both have been working a lot on a new band project recently - Sound Of Contact. Besides Dave Kerzner (Keyboards) and Simon Collins (Vocals, Drums) musicians Matt Dorsey and Kelly Nordstrom (both Guitar, Bass) are part of the studio-band. Work on their debut album, Dimensionaut, has just been finished. A teaser of the new album can be seen / heared below. More infomation about the album will follow as soon as we have them. 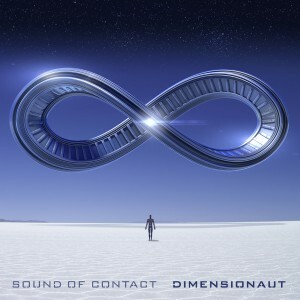 Sound Of Contact will go on tour in March. In May, they will perform with Spock's Beard and Beardfish in Europe. The tour has been organized to celebrate the 20th anniversary of InsideOut Records. Kelly Nordstrom will not be touring, but Jon Wesley (known from Fish's live-band) and Jonathan Schang (Drums, Keys) will be on stage. More information can be taken from our tour dates page.